Older surveys were possibly completed by a pole and chain method, with landmarks referring to a &ldquo;certain tree&rdquo;, which may not exist anymore. 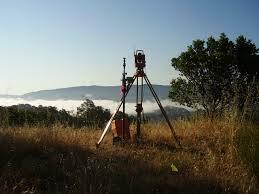 Modern day surveys use Global Positioning Systems and are accurate to as little as fraction of an acre. Even with modern survey tools, a stake or iron pin can disappear, be pressed into the ground, or moved by someone who did not want to mow around it. A deed may not be insurable by a title company, because a new survey was not completed for you in your name. The surveyor and/or the title company can be held accountable if &nbsp;survey is incorrect. Some banks make surveys a requirement of the loan if borrowing. Surveys uncover easements, flood zones, and &nbsp;encroachments or if setbacks have been violated. The cost of a survey varies according to the size of the property, whether it is in a subdivision or not, if a previous survey had been performed, and the irregularity of the property. There is not a set dollar amount for a survey, but the peace of mind a survey provides is worth the cost. For more on why obtaining a survey may be a good investment,&nbsp;contact us&nbsp;at 336-846-4900, A1 Mountain Realty be glad to refer you to professional NC Mountain Surveyors. Come by our office on main street in West Jefferson NC and speak with one of our Ashe County Realtors and they can help you find out whatever type of property you are searching for. Visit our website (www.a1mountainrealty.com) and view our listings or do a MLS search for any property in the High Country. Our agents would be happy to show you Ashe County North Carolina Real Estate and advice during every aspect of the property buying process.